Planning out and working on your company's financial projections each year could be one of the most important things you do for your business. The results--the formal projections--are often less important than the process itself. If nothing else, strategic planning allows you to "come up for air" from the daily problems of running the company, take stock of where your company is, and establish a clear course to follow. Nicholas Coriano provides the following Financial Statement Projections: Cash Flow Statement Projections, Balance Sheet Projections and Income Statement Projections. In financial accounting, a cash flow statement, also known as statement of cash flows, is a financial statement that shows how changes in balance sheet accounts and income affect cash and cash equivalents, and breaks the analysis down to operating, investing, and financing activities. 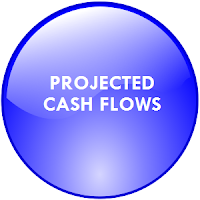 Essentially, the cash flow statement is concerned with the flow of cash in and out of the business. The statement captures both the current operating results and the accompanying changes in the balance sheet. As an analytical tool, the statement of cash flows is useful in determining the short-term viability of a company, particularly its ability to pay bills. In financial accounting, a balance sheet or statement of financial position is a summary of the financial balances of a business organization. Assets, liabilities and ownership equity are listed as of a specific date, such as the end of its financial year. 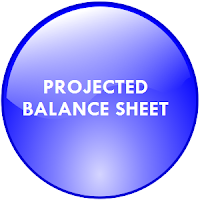 A balance sheet is often described as a "snapshot of a company's financial condition". Of the basic financial statements, the balance sheet is the only statement which applies to a single point in time of a business' calendar year. A standard company balance sheet has three parts: assets, liabilities and ownership equity. The main categories of assets are usually listed first, and typically in order of liquidity. Assets are followed by the liabilities. The difference between the assets and the liabilities is known as equity or the net assets or the net worth or capital of the company. An income statement (US English) or profit and loss account (UK English) (aka a profit and loss statement (P&L), revenue statement, statement of financial performance, earnings statement, operating statement, or statement of operations) is one of the financial statements of a company and shows the company's revenues and expenses during a particular period. It indicates how the revenues (money received from the sale of products and services before expenses are taken out) are transformed into the net income (the result after all revenues and expenses have been accounted for, also known as "net profit"). It displays the revenues recognized for a specific period, and the cost and expenses charged against these revenues, including write-offs and taxes. The income statement shows whether a company made or lost money during a period. If you need help with Projecting your financials, business plan writing or business formation; reach out to Nicholas Coriano at 203-685-0346 (text/call) or email at homescape.llc@gmail.com. If you are ready to order simply click on the blue icons for each financial projection statement to see pricing.